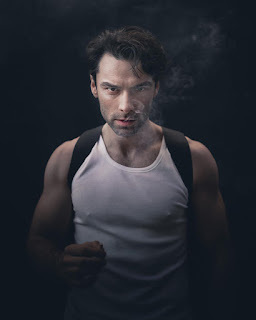 In an interview with Collider for the film The Man who Killed Hitler and then the Bigfoot, Aidan Turner talks about leaving Poldark and his future plans. It’s really strange, and it’s only just happened. 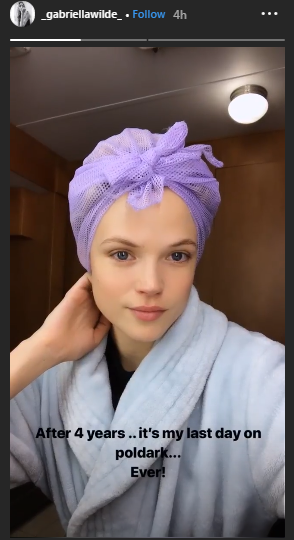 Today is Monday (February 4, 2019) and we wrapped on Friday (February 1, 2019) in the UK. So, I wrapped and then flew over to Los Angeles, so to be honest, it’s quite a fresh experience. I’m still just adjusting. It’s been a very long time and, obviously, a very big job for me. Even though it hasn’t been all of the year, it takes six months to shoot the show, and then there are a lot of press engagements and things like post-production ADR, so the entire job takes a lot of the year, maybe seven months, in total. And I’m in most of the scenes, so it’s a very busy job. So, maybe it’s a little early to answer that question for me. I don’t know quite how it feels yet. It doesn’t quite feel real. It feels like I’ve got to have a sleep after this movie tonight, wake up tomorrow morning, and put a tricorn hat back on and jump on a horse. It doesn’t feel like it’s quite over yet. But that being said, it does feel like we naturally came to an end. I know there are some more books that Winston Graham has written, and they happen a lot later in Ross’ life, about 15 years down the road, or even a little bit longer, so it just feels like we’ve naturally come to an end with it. I’m very proud of our show and what we’ve achieved, and the demographic of the audience that we’ve managed to obtain by putting on this show. It’s been a real success, and I’m glad that we got to finish the stories as far as we could go with it. I think we’re all very proud of the show, but like everything, there does come a time to move on, and naturally, we had to. It’s nice that we got to finish the stories, and that we didn’t have to finish early or compromise, in any way. I think we’ve done a great job, and the fifth series is looking like it might be one of the strongest. It’s a strange feeling to speak to you and, for the first time, actually hear somebody else, who’s not part of the production, say that it’s finished and all over. It’s odd, but I think we’re all ready to take on the next project. Would Aidan consider another period piece? I think, if the material is appealing, all bets are off. I don’t think it matters, necessarily, what the genre is. If the script is really strong, and you feel like a character appeals to you and the story appeals to you, that’s it. I think it becomes difficult terrain for an actor, when you start to choose based on what era you want to perform in. Maybe for some actors it works okay, but I don’t know. I find that troubling because you could miss out on some of the really good stuff, if you don’t want to, for instance, play in a 19th century period drama, or you’ve done something that’s Victorian, so you don’t want to anymore, or particular parts of American history don’t appeal to you, so you decide not to read a script based on that. I think that can be tricky because you can miss a lot of good stuff that comes through. So, no, I don’t really look at it that way. It’s gonna be nice, for the first time in years, I’m actually available completely and my schedule is free, to meet some people, read some scripts, and just see what’s out there now, and then make some judgements based on that, as opposed to narrowing down my search results, as a result of me not wanting to put on a tricorn hat again or a piece of costume, or whatever. I’m just gonna see what’s out there. It’s an exciting time. Does he have any projects planned? Lieutenant Of Inishmore”). Martin McDonagh is one of my favorite writers, and I did a play in the West End, right before I started the fifth and last series of Poldark. I really enjoyed that. There’s a possibilities of getting back on stage quite soon and doing something. There’s the possibility of maybe working stateside for a little while, but I just don’t know. For years, I’ve been very lucky and I’ve had jobs lined up. I could work around Poldark with different things, like this great Bob Krzykowski movie. I could squeeze all of these in because I had time, but it was always a tight squeeze. I had to be careful of getting a haircut, or of losing weight, or of putting on weight, or even simple things like what country I would be in because I would need to get to fittings. So, right now, it’s nice to have that freedom. I think a little break is probably not a bad thing for me, just to consider where I’ll be going from here. It’s nice to be free, for the first time in awhile, to see what’s out there, as opposed to the usual actor thing that will probably never go away, which is the constant fear of never working again, or the fear of just having to take jobs because jobs present themselves. I can enjoy a position, even for a small amount of time, where I don’t have to do that. Would he like to do Broadway? Yeah, I really would love to. There’s always a possibility, when you do a play that’s successful on a West End production, that you could get a transfer. There was a possibility in the pipeline, when we were doing our show, but with dates and other things, we were going to lose some actors and it was just gonna be quite difficult. That would be an amazing thing to do. I think you’d struggle to find an actor on the planet who hasn’t got that on a bucket list of some sort, where they want to do at least a small run of a Broadway play. That would be quite cool, but it’s just finding the right job, at the right time. It’s definitely something that I would strongly consider. 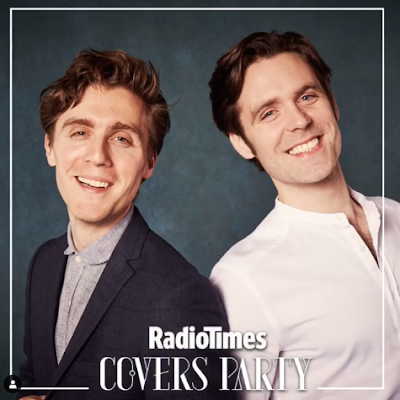 It was the Radio Times Covers Party last week and Jack Farthing (George Warleggan) and Luke Norris (Dwight Enys) were there to collect the Poldark cover along with screen writer Debbie Horsfield and executive producer Karen Thrussell. Here are some pics from the night. 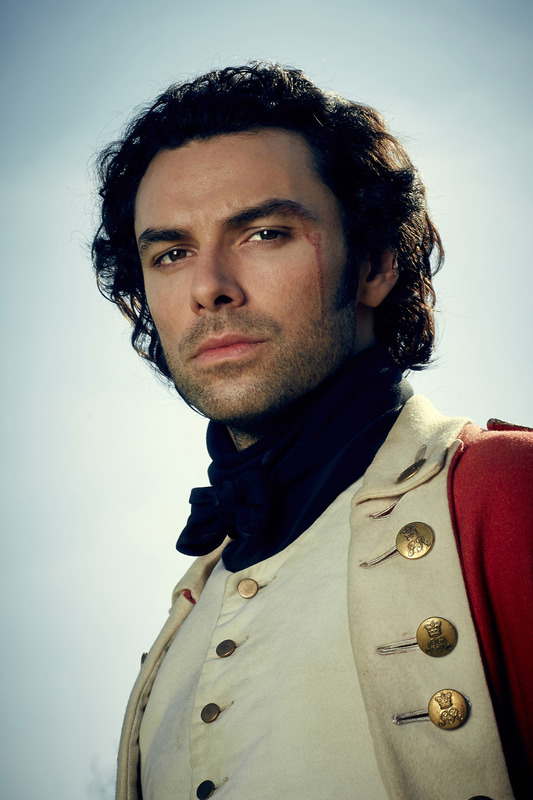 Poldark screen writer Debbie Horsfield talks to Radio Times about series 5. 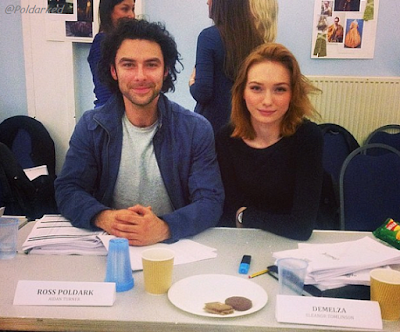 Executive Producer Karen Thrussell says there may be more Poldark after series 5. 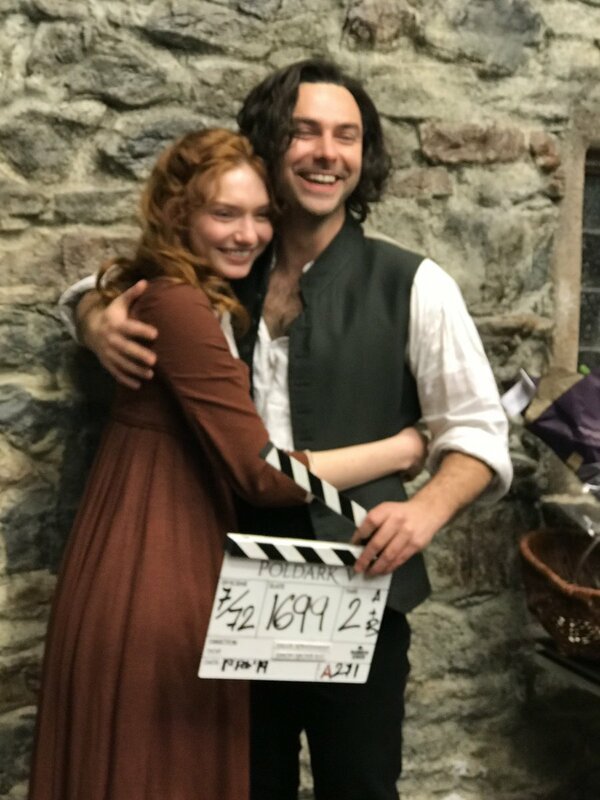 Filming on the fifth and final series of Poldark wrapped today, leaving us all with a bittersweet feeling. 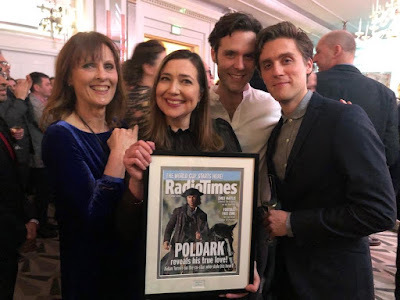 Sad that this is the final series but happy that we have the drama itself to look forward to later in the year. It was first announced the Aidan Turner would play Ross in a new adaptation of Poldark back in February 2014. 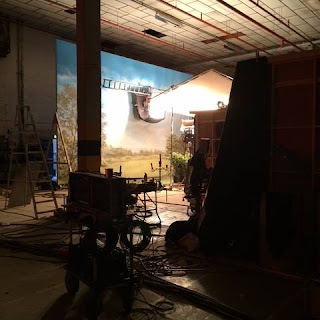 Since then, this blog has followed the show from the first read through and start of filming in April 2014 to today's wrap. And what a journey it has been! 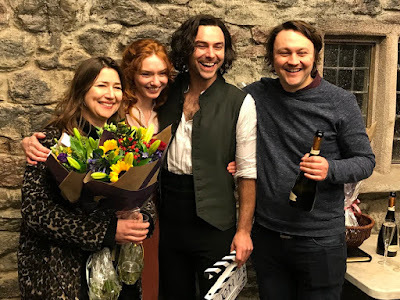 Not only have we had a fabulous drama to enjoy but we've been treated to behind-the-scenes pictures and videos and many fans have watched the filming on location and attended premieres, preview screenings, festivals and even set visits. It's all been great fun! Thank you Aidan and Eleanor and all the cast for bringing the characters from Winston Graham's much-loved books to life; thank you Debbie Horsfield and Mammoth Screen for such a great adaptation and thank you to all the crew who have worked so hard behind the scenes. The last day of filming inevitably brings some sorrow yet we can be heartened knowing that, while we came into the fandom because we liked the show, it is the friendships we have formed with other fans that will see us through this day and beyond. Thank you all!